The role of creation, collaboration, and textual comparison to create a performer’s edition of this masterwork. Fingerstyle Guitar magazine describes Zane Forshee as “one of his generation’s finest guitarists.” Active both as a soloist and in chamber ensembles, recent concert engagements have taken him across North America, Europe, and Asia, where his live performances have been noted for possessing “a beautiful ever-flow that held the audience captivated” (Retriever Weekly). Zane has been featured at the Palacete de Amezúa (Madrid), the Joseph Joachim Konzertsaal (Berlin), the Library of Congress (Washington, D.C.), the New York City Classical Guitar Society, and the Chimei Museum (Taiwan). He has given collaborative performances with Opus 1 Contemporary Dance Company, in addition to solo and chamber recitals for the Philadelphia Classical Guitar Society, the Omaha Guitar Guild, and the Endless Mountain Music Festival. Winner of numerous top prizes which include the first prize in the National Guitar Workshop International Solo Guitar Competition and the top prize in the Montpelier Artist Recital Competition, Zane was recently awarded a Fulbright Fellowship to Spain in support of his current recording project of contemporary Spanish works for solo guitar. In addition to these awards, he has been the recipient of two Peabody Institute Career Development Grants. Zane holds a Doctor of Musical Arts Degree, Master of Music Degree, and Graduate Performance Diploma from the Peabody Conservatory of Music of the Johns Hopkins University. Presently, Zane is the chair of the Guitar and Harp department of the Peabody Institute–Preparatory Division. In addition to his duties at Peabody, he serves on the faculty of the University of Maryland, Baltimore County, and the Performing Arts Institute Summer Music Festival in Pennsylvania. 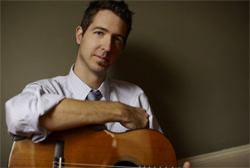 Most recently, he served as the visiting guitar faculty for the University of North Carolina School of the Arts.